Faculty Centre of Integrated Rural Development and Management (IRDM) is one of the three Faculty Centres under the umbrella of School of Agriculture & Rural Development, Ramakrishna Mission Vivekananda Educational and Research Institute (RKMVERI). Furthermore, RKMVERI (formerly known as Ramakrishna Mission Vivekananda University, aka RKMVU) is established, administered and run by Ramakrishna Mission. Ramakrishna Mission, the sponsoring society of the University, is a registered society started by Swami Vivekananda in 1897. It is a globally recognized and acclaimed non-governmental organization (NGO) serving the society in India and abroad irrespective of caste, colour, creed, religion, nationality, gender, regional bias, etc., through its vast network of nearly 200 branch-centres in the fields of education,spiritual and cultural activities, health, relief and rehabilitation, rural and tribal development, to name a few. The organization was brought into existence by Sri Ramakrishna (1836-1886), the great 19th century saint from Bengal who is regarded as the Prophet of the Modern Age, and Sri Ramakrishna’s chief disciple, Swami Vivekananda (1863-1902), one of the foremost thinkers and religious leaders of the present age, who is regarded as ‘one of the main moulders of the modern world’, in the words of an eminent Western scholar A.L. Basham. The motto of the twin organizations of Ramakrishna Math and Ramakrishna Mission is आत्मनो मोक्षार्थं जगत् हिताय च (ATMANO MOKSHĀRTHAM JAGAD HITĀYA CHA), “For one’s own salvation and for the welfare of the world” which was formulated by Swami Vivekananda. These twin organizations have set in motion a non-sectarian, universal spiritual movement which has been silently working since their inception around the beginning of 20th century to catalyze the spiritual regeneration of humanity. 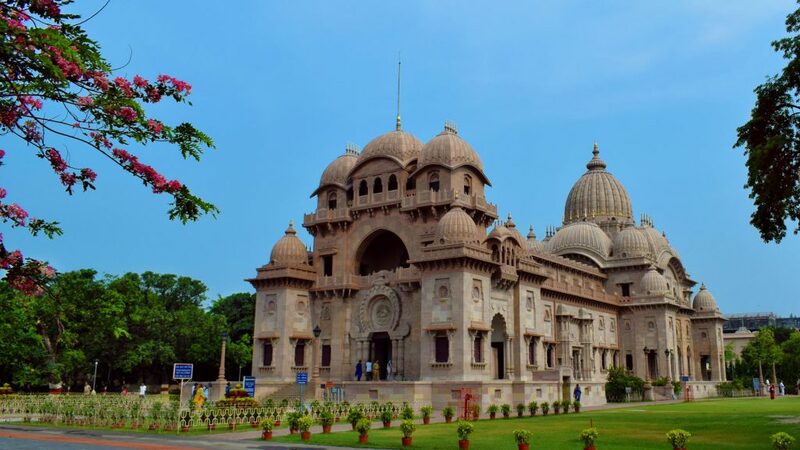 The headquarters of Ramakrishna Math and Ramakrishna Mission, as well as RKMVERI, are situated at Belur in the district of Howrah, West Bengal, India. The entire campus of the headquarters is popularly known as ‘Belur Math’. Sprawling over forty acres of land on the western bank of the river Ganga (aka, Hooghly), the place is an hour’s drive from Kolkata, and two hours away from IRDM. Swami Vivekananda envisioned the Belur math to be ‘a great centre of tolerance and universal acceptance, of grand harmony of all religions, creeds and faiths, sending forth the shining message of goodwill, peace and harmony taking the whole universe to liberation…This math shall become a great centre of learning‘. IRDM focuses on promoting agriculture, the root of Indian civilization as remarked by Swami Vivekananda himself, and rural development. Swami Vivekananda prophesied, ‘…gradually in these main centres [of Ramakrishna Mission] will be taught agriculture, industry, etc., and workshops will be established for the furtherance of arts‘. He wanted the future generations to ‘instruct them [the common people], in simple words, about the necessities of life, and in trade, commerce, agriculture, etc.‘ IRDM has been working towards these goals through its various programmes targeting rural development and agricultural advancement in a way as Swami Vivekananda envisioned the education to be: ‘Education is that which enables one to stand on one’s own legs‘. RKMVERI aims to actualize Swami Vivekananda’s educational vision of this life building, and character-making education by combining the best elements of the East and the West, which begins with rural development.